Visually impaired people know something the rest of us often overlooks: we actually don’t see with our eyes, but with our brains. For his Hackaday Prize entry, [Ray Lynch] is building a tongue vision system, that will help blind people to see through one of the human brain’s auxiliary ports: the taste buds. 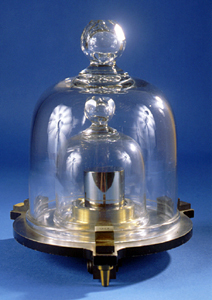 The definition of the kilogram is still a chunk of metal. Machined from a chunk of a virtually indestructible platinum-iridium alloy, the international prototype kilogram (IPK) was built to last for an eternity. And yet, being the last remaining, physical artifact in a club of fundamental SI units, the current definition of the kilogram has worn out. Most certainly the watt-balance will take its place, and redefine the kilogram with a true, physical phenomenon. [Grady] just built his own watt-balance from scratch, and he provides you with a decent portion of scientific background on the matter.